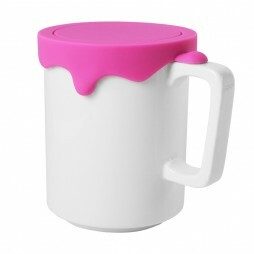 Ideal for messy artists or anyone who loves cute tableware, this adorable Paint Mug has a bright silicone lid that resembles dripping paint. 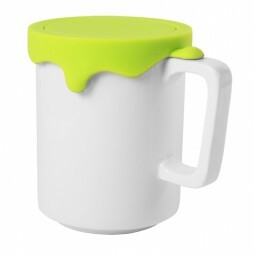 Bound to give your life a playful burst of color, the tall cup's lid can be used as a beverage topper or as a coaster. Now sit back and enjoy your favorite beverage in this eye-catching Gattola design. 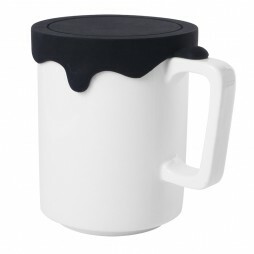 • Try to imagine the liquid is overflowing from the mug...feel like the paint inside a paint can is coming out vigorously. 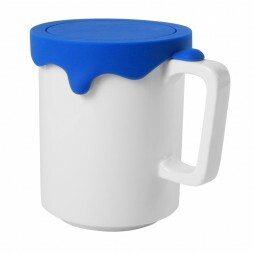 The design of Paint Mug is sharing the concept of it. 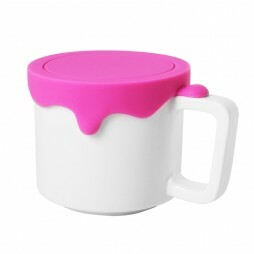 • It is proved to be microwave and dishwasher safe. 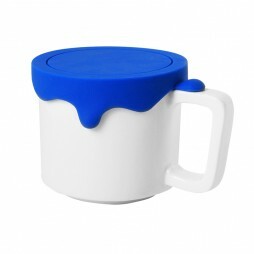 • High quality Porcelain with Food Grade Silicone combination is safe for drinking. • Paint Mug could be a family gifts idea with Tall Size for adults and Medium Size for children.